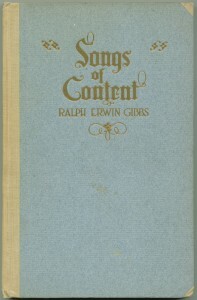 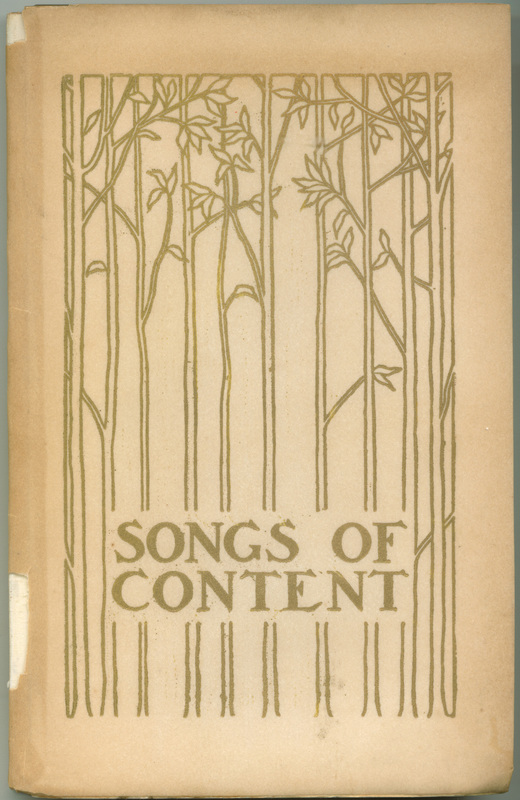 Cover of the 1903 first edition of "Songs of Content"
In April 1903, Ralph Erwin Gibbs was at his desk in his study when he heard a loud crack: a tree was falling over in his yard. 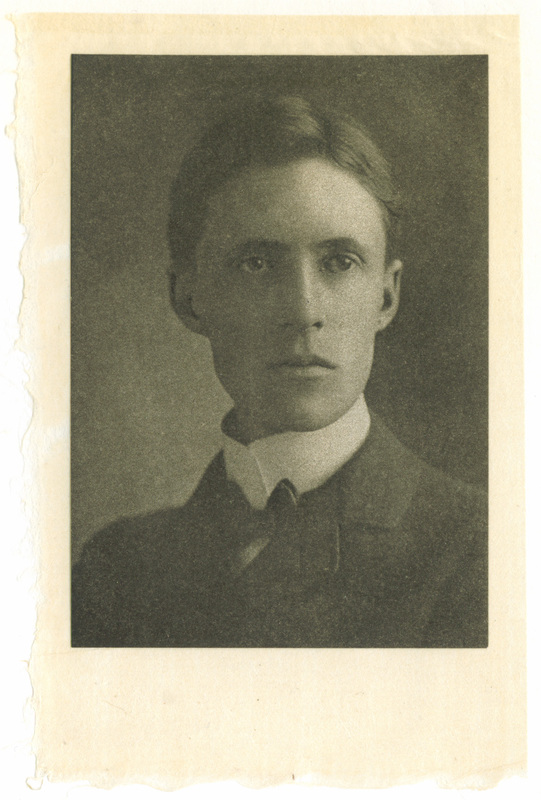 Knowing his pet dog was out in the yard, he rushed outside to save it, but was himself killed by the falling tree. He was just 27 years old. 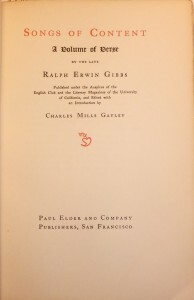 Gibbs earned bachelor’s and master’s degrees in science at the University of California, Berkeley but became more interested in literature and poetry, and soon turned to writing full-time. 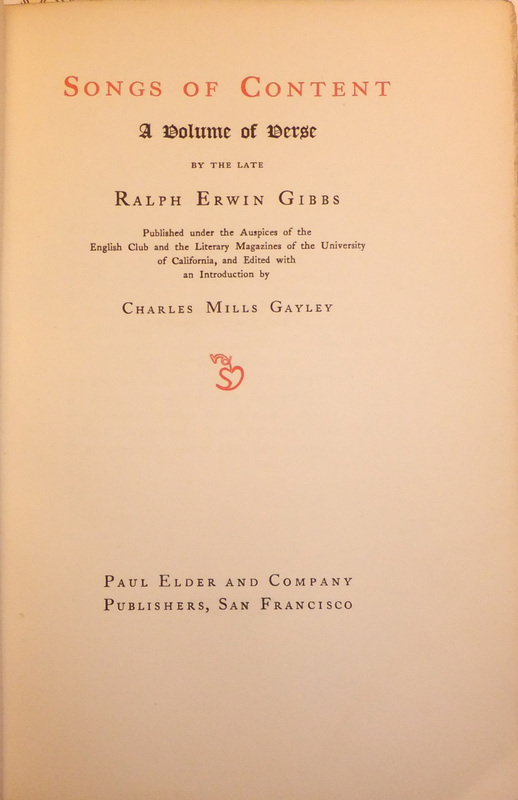 In 1900 he became an assistant at the University Library and in the English department, where he became a protege of Charles Mills Gayley (1858-1932), professor of Classics and English. 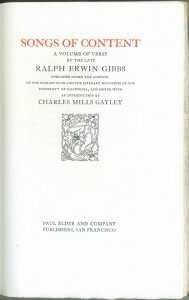 After Gibbs’s death, Gayley received the family’s permission to gather up the manuscripts and publish them. 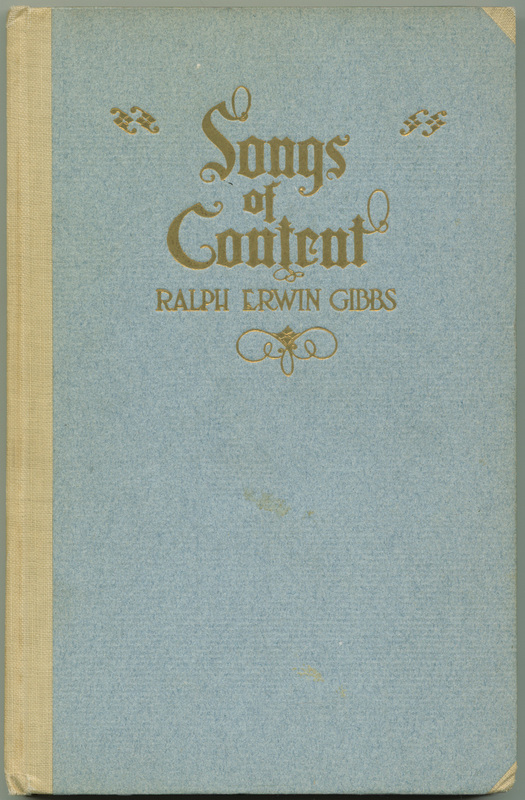 He also wrote a moving introduction to both Gibbs and his poetry. 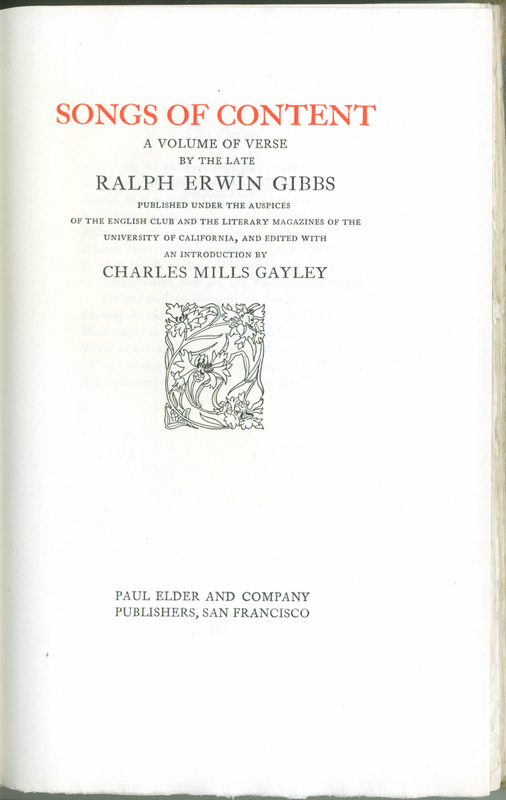 The book was republished in 1911 with the identical text but higher quality binding and imported laid paper. 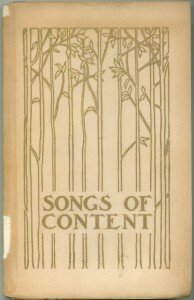 Title page of 1st edition "Songs of Content"
Cover of the 1911 second edition of "Songs of Content"
Title page of 2nd edition "Songs of Content"